I sure hope your weekly quota for super adorable things haven't been filled up yet (I mean, it's only Tuesday — what are you, a YouTube fiend? ), because this video of over 300 manatees closing down Three Sisters Springs wildlife park in Citrus County, Florida, will do exactly that for you. The park was forced to close when more than 300 of these insupressibly cute aquatic mammals swarmed to the central pool all at once on Monday. The manatees began their descent at noon as the tides began to rise, and a manatee count by the park's manatee watch volunteers saw the number swell to 293 by 1 p.m. Half an hour later, the manatee count surpassed 300, and The U.S. Fish and Wildlife Service (USFWS) went, "OK, whoa, guys," (probably) and issued a temporary closure of Three Sisters Springs as they tried to ensure the manatees' safety. What's the big deal about 300 lousy manatees — also known as sea cows, a fitting name for these overwhelmingly adorable animals — for congregating in the same natural Florida springs, you ask? Well, for context, the pool has an average of a mere 65 of these charming creatures at a time, so a swarm of over 300 — five times the average — is well and truly noteworthy. 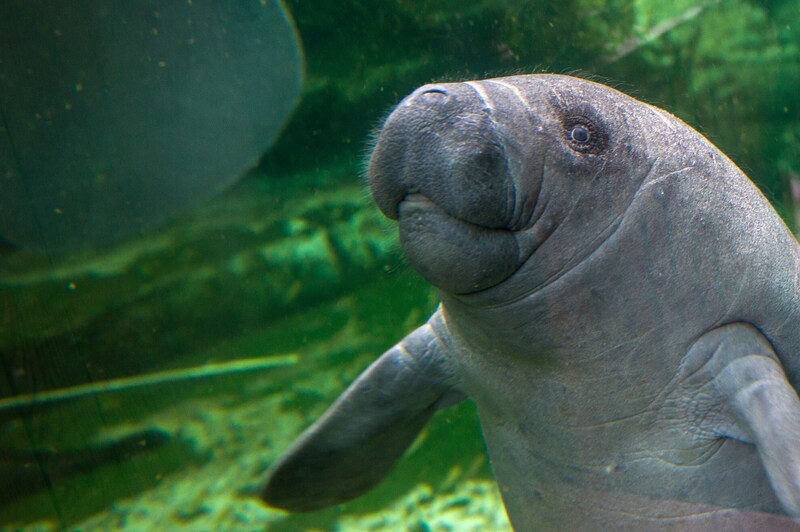 Sea cows are known to gravitate toward shallow springs during cold weather to stay warm, and Three Sisters Spring has recently seen a huge influx of manatees, more so than previous years. Last week saw about 220 of the endangered mammals in the springs, though Florida wildlife workers said Monday's number was a "dramatic surge." The UFSWS anticipated a cold front in some areas on Monday night, it said it would make further decisions by Tuesday morning at sunrise. Tides are expected to drop in the morning to a severe low by 10:44 a.m., reported WTSP. If manatee activity is high during the low tides on Tuesday morning, the springs will remain closed. No updates on Tuesday have been reported thus far. Three Sisters Springs has become a refuge for the gentle giants looking for warm temperatures, though the crowds of tourists, snorkelers and kayakers who flock to the wildlife park to engage with them oftentimes pose a physical danger to the sea cows, as they accidentally kicked or splashed at. Monday's move to close the park down was another precaution to keep them safe from overeager humans.